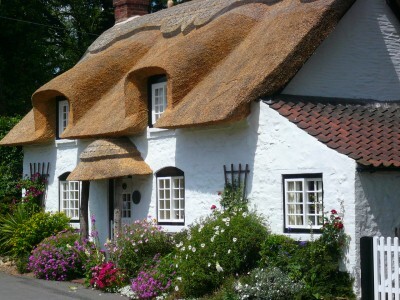 The Thatched Cottage is an instantly recognisable Appleby landmark – indeed, it is well known throughout the county! 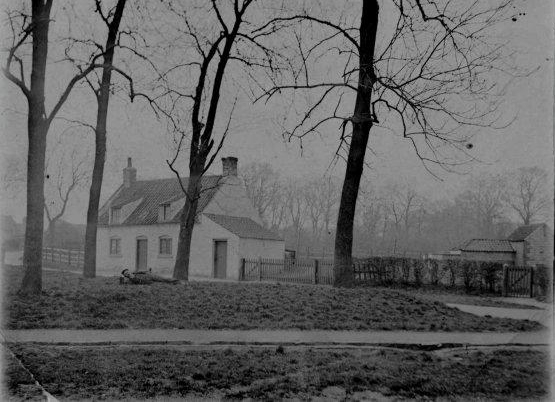 It was built, along with other properties in the village of this type, around 1700. 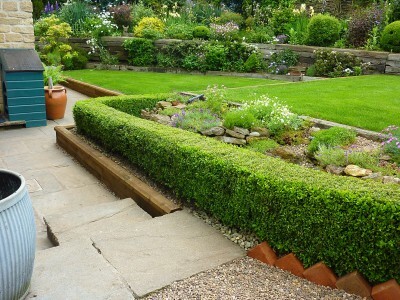 It is a very robust stone construction with thick walls and beamed ceilings. Although it now boasts a thatched the roof, for many years it was topped with clay pantiles. 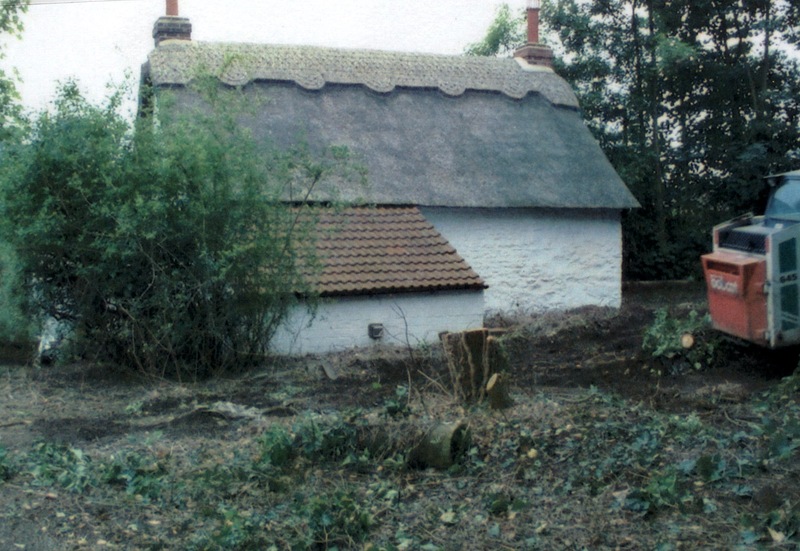 Here it is at the turn of the 1900’s with a tiled roof. 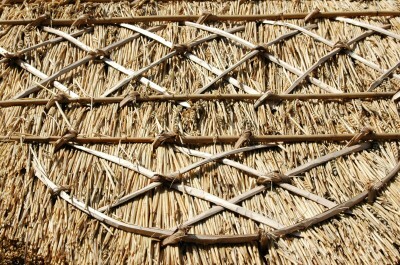 The main part of the roof is constructed from Norfolk Reed. It is expected to last around 40 years. The ridge is created from long straw, reed would be too strong to bend over the top. This ‘topping’ will last around 10 years. 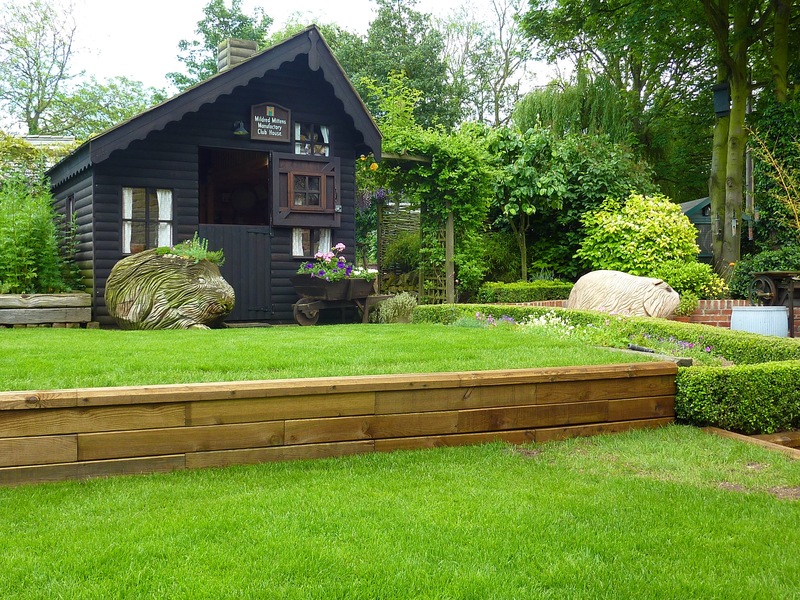 The cottage has three chimneys servicing a cast iron stove, a fully working range and a dog grate in the ground floor rooms. Originally there was just one chimney in the middle. 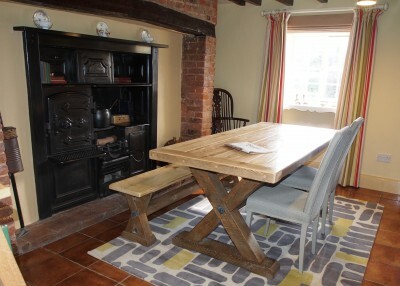 This was removed when the stairs to the first floor were fitted in the 1900’s and a fireplace was installed at either end of the cottage. 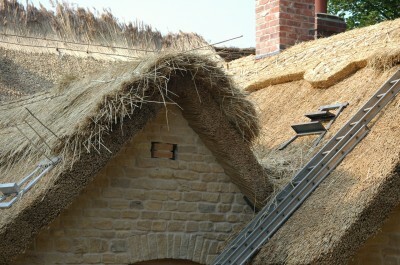 The third chimney was added in 2004 to the rear. 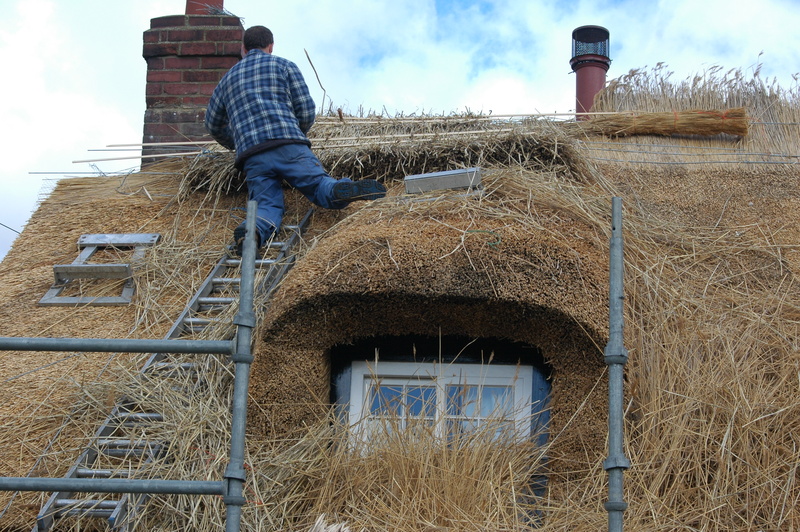 The rear roof was newly thatched in 2004 when the building work was carried out to create a kitchen and bathroom. 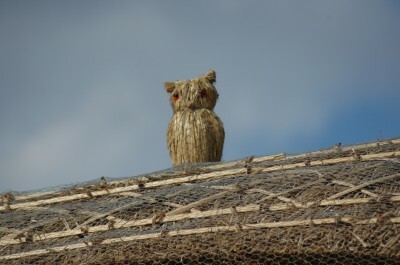 Visible from the lane, the ridge is topped with traditional straw animals – an Owl . . .
And a pussycat – inspired by the poem read at the nuptials of the current residents! 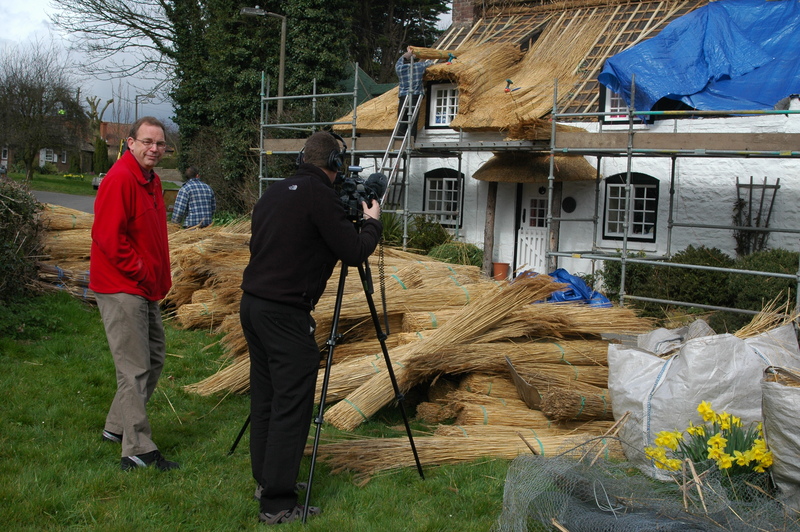 Thanks to the skills of the ‘thatchers’ The Thatched Cottage roof will protect the cottage from the elements for some time to come! – into a colourful, well stocked garden. Set over several levels the garden has a lot of steps! Mainly constructed from old railway sleepers, they lend the garden their own characteristic – being slightly rustic in appearance and providing many species of wildlife such as frogs and toads some where to live. 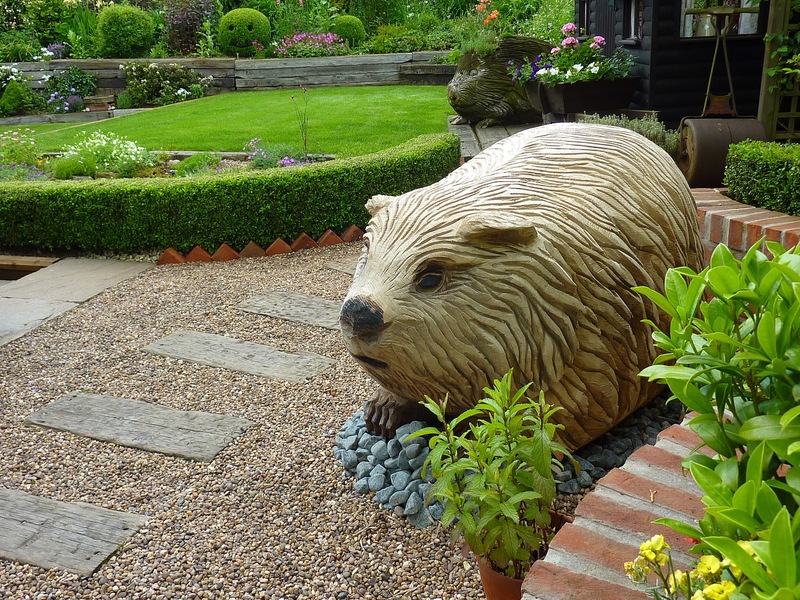 With lots of little twists, the garden is certain to bring a smile to everyone’s face! With a light ladder and a bag of knives. 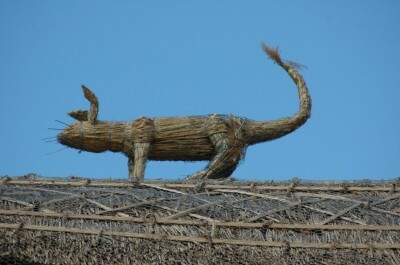 He eyed the old rigging, poked at the eaves. 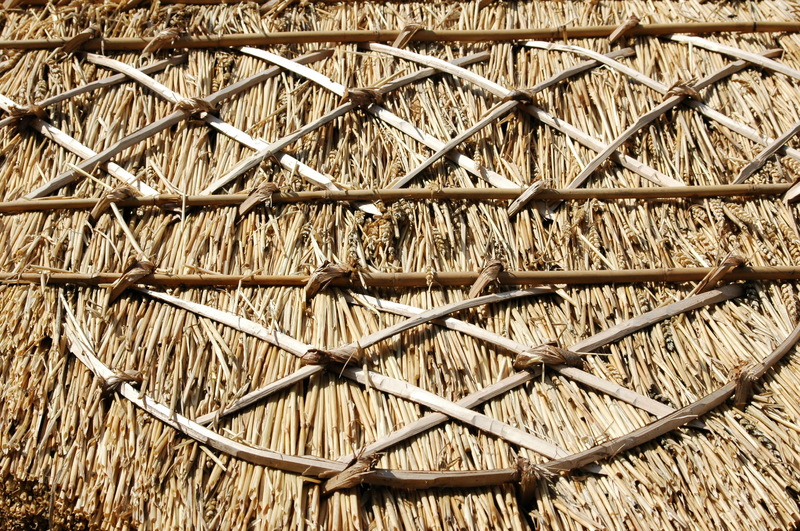 Opened and handled sheaves of lashed wheat-straw. Were flicked for weight, twisted in case they’d snap. For pinning down his world, handful by handful. And left them gaping at his Midas touch. 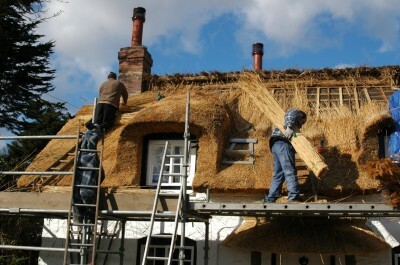 Visit thatching.com for further information about thatching.